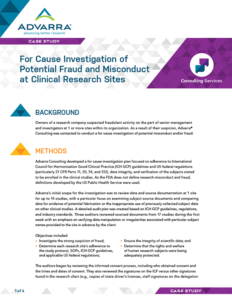 Learn how we helped a clinical research organization with a fraud investigation. 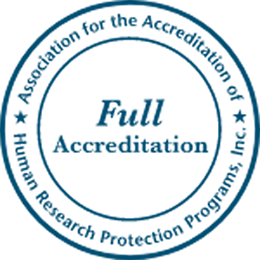 When the owners of a clinical research organization suspected fraudulent activity that could potentially impact data integrity and subject safety across multiple studies and sites, our consulting team used its auditing and clinical research expertise to help them identify the misconduct and manage regulatory risk. Learn more about the power of Advarra’s consulting solutions and how they can help you improve your research quality and compliance in this case study. Please complete the form below to access the case study.